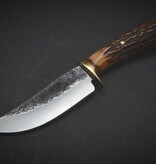 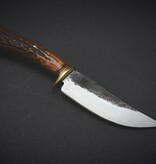 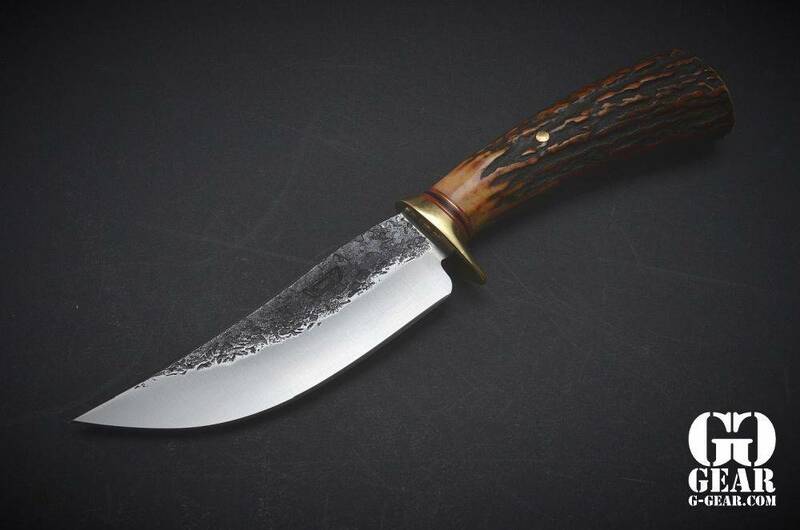 This beautiful new Hunter from Behring Made™ is hand forged from 3/16" thick high carbon 01 tool steel and it measures 4 1/4" from tip to guard with a razor sharp hollow grind and our hammermark finish. 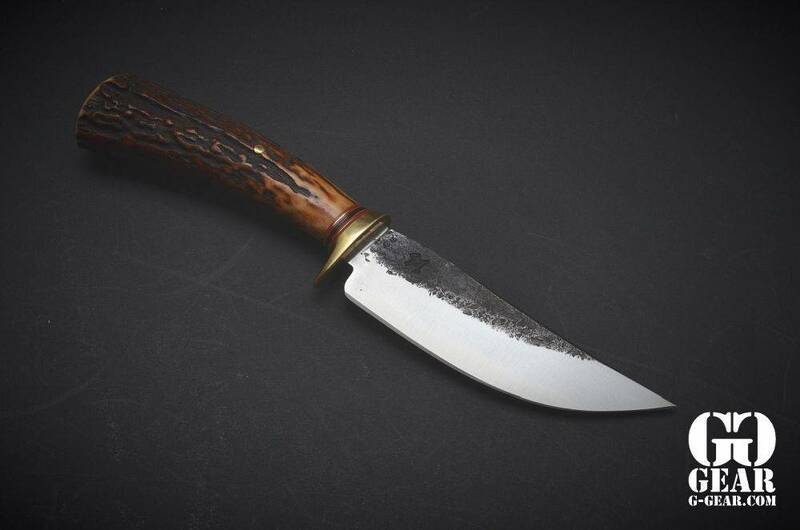 The nickel silver guard is soldered in place above black fiber and aluminum spacers that are a perfect contrast against the premium sambar stag handle with warm whiskey tones that are guaranteed to please. 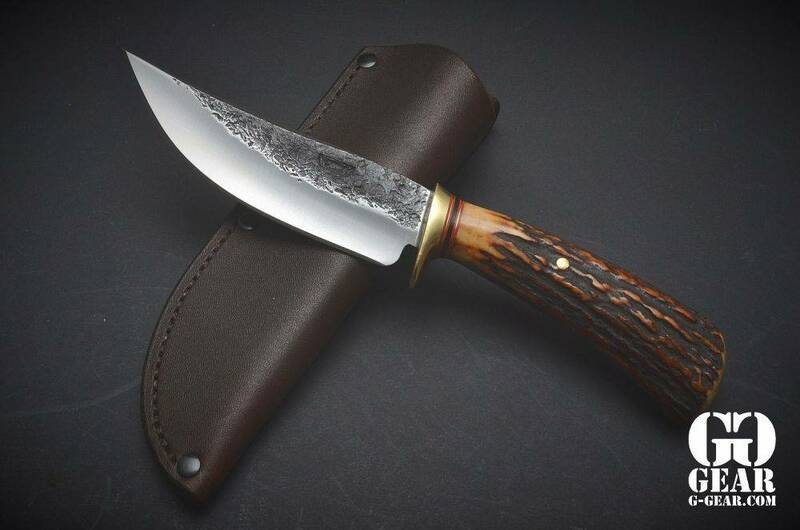 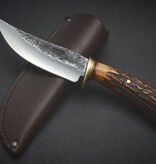 The overall length of this classic option measures 8 7/8" and it comes in a Warlander Leather pouch sheath.